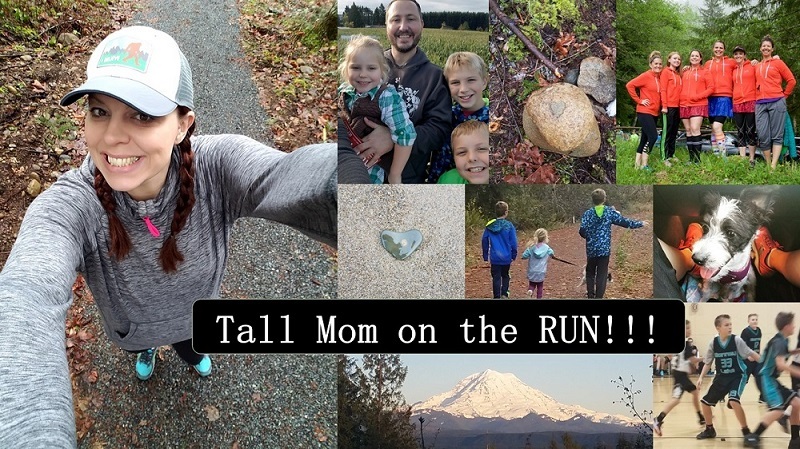 Tall Mom on the RUN: Really?? Last night I was TIRED.. Hubby and I had planned to got for a 3 mile run after our food (Homemade Pizza) settled. Well that never happened. Instead I settled for in-home crosstraining which consisted of push-ups (on my knees), crunches (with two kiddos crawling on me), and 30 minutes on the stationary bike. The highlight was that "The Princess Bride" was on while I was riding....if you have not seen this movie RUN to find a way to watch it... DVR, Rental or purchase ASAP. I forgot how much I LOVE this movie. Just after the ride I was stretching and noticed that my (GROSS) toe looked funny. So I pulled a little on the nail and (REALLY?) it pulled right off. YUCK!!! YUCKY!! Ewwwww! I have officially joined the ranks of Runners now that I have lost my first, strike that, 2 toe nails fell off last night. Oh how lovely my toes look for Summer. Side note: After reading this post HERE on Half-Marathon Mania. I went to Running For Fitness to look up the "Predicted effect of weight change on time." First I checked my BMI and I am considered "Overweight" (REALLY?) Just by a few pounds, I am in the top of "Normal" or bottom of the Overweight catergory. WOW!! So my ultimate, pie in the sky, goal is to be 180lbs, which would place me as "Normal". From the chart below that would mean I would shave about 2 minutes off my 1/2 Marathon PR. I am not at all stressed about my current weight but I REALLY have issues with a tool calling me "Overweight", I just ran a Marathon for crying in the night..
How do you feel about the BMI tools? Do you think that weight loss is truly the path to a PR? Signing off and planning to trade Pizza for Salad tonight..
Princess Bride is a classic. My boyfriend has a majority of the lines memorized, especially the fight scene between the two guys in the castle ruins. NPR had a great story on how BMI is bogus (here: http://www.npr.org/templates/story/story.php?storyId=106268439) so don't feel badly about being "overweight" - you ran a great marathon for pete's sake! Pretty sure you're in fantastic shape. I don't put a whole lot of merit in BMI. I think there are just too many factors besides height that can influence your weight. You CLEARLY are not over weight. You look slim and trim and healthy and fabulous. You're full of muscle, which is making that number on the scale higher. But overweight? Pffft! That said, I do believe weight loss can have a tremendous bearing on performance. I hate the BMI tools...not very accurate I don't think. I wouldn't know about PRs since I haven't been doing this very long - every race (with exception of a humid race) has been a PR becuase I simply haven't done many. I think that training is the key to PRs...weight loss might come with it, but I don't think you need to strive for weight loss to get a PR. I fluctuate a few pounds and when I am having a bad week, I am overweight. I think that if I lose weight, I may be faster, but my training has been going great for the past year, I am much faster, and yet I weigh more than I did last year. I hate the BMI chart! I dont like the BMI tools especially online because there are so many factors that need to be taken into affect! BMI = suckage!!! My BMI always reads high, even when my "test" jeans are feeling loose and my fitness is feeling high. My name is Inigo Montoya. You killed my father! Prepare to die! I was going to mention that story that NPR recently ran regarding the inadequacy of BMI-measurements, but RunningLaur beat me to the punch! I'm on the tall side, too - and have ALWAYS been hovering near that imaginary normal/overweight line, too! While I might want to drop a few, I'm certainly not going to use my BMI as my main motivation! I don't know what to think about the BMI. I used to be in the overweight category of the BMI, and I was overweight. I feel 10x better now that I lost 25 pounds. That said, I don't think you look overweight at all. You look fantastic!! I heard a presentation from a nutritionist last night. She said that marathons are very stressful on the body, and that running may actually cause you to gain 3-5 pounds of water. Blah - either way keep at it and know that you can't be defined by the number. BTW, I love the t-shirts you featured on the blog. i think I may have to get one!